1. 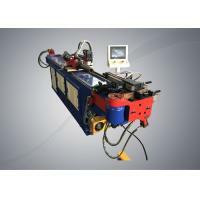 Single-head pipe bending machine of CNC series is a high-performance CNC pipe bending machine developed by our company. 2. This series adopts VDU touch screen operation panel to control, can input, store and display various bent pipe data and instructions. And it has part bending back compensation and faults advanced features such as self-diagnosis alarm, power-off memory, automatic lubrication and safety protection. 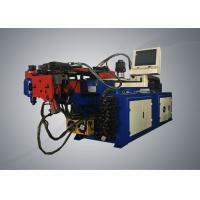 The machine's technological advancement, automation degree of reliability, design integrity are all world-class pipe processing equipment. 3. 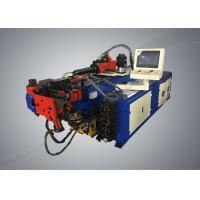 Each axis servo of the machine tool under the control of the industrial computer realizes full-automatic fast feed, transfer, head movement, automatic multi-layer die change, automatic coreless and coreless bending. 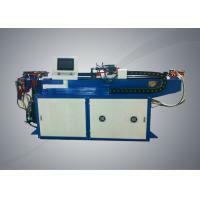 The machine can produce many kinds of sophisticated application as customer requirements and goes a low labor cost. Steady and solid bed structure with hardly distortion. 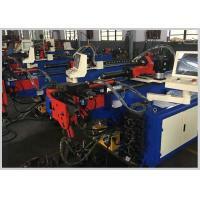 It adopts touch control screen, numerical control mold group, dialogue operation and simple easy programme setting. Every file can set 16 angles of bending tube, the memorizer can store 60 groups of file. Extra large CPU of Mitsubishi can store 400 groups of file editions. When the storage space is inadequate, transform software can be installed in the computer and then the files can be stored in hardware so as to expand edition groups indefinitely. Windows operating system is installed in the industrial computer to match with Mitsubishi servo system. Therefore, apart from the advantage of Mitsubishi servo drive, it owns the convenience of file management of Windows operating system. It can also store the files in hardware or disk to indefinitely expand edition groups. All the process documents are input by touch control screen. 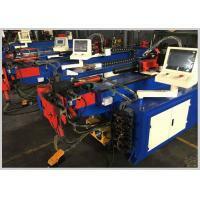 Every bending of the tube can separately compile 5 move orders, 10 speed matched for operators' use. 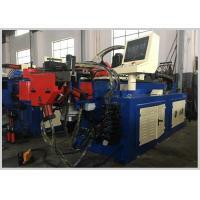 It will improve working efficiency and decrease interfere points of tube pieces. 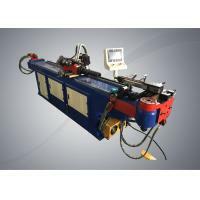 Each bending tube can set compensation value, speed and gap between stripping according to the variety of different materials. 1. 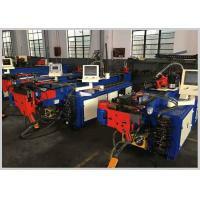 Our factory can send our engineers to the customer’s factory to install and train for using freely. The customers just need to provide the double trip tickets, food and accommodation for our engineers. 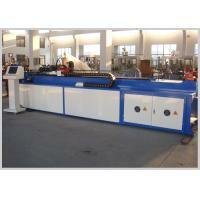 The customer can also send your staff to our factory to learn the operation and maintains freely. 2. We provides service for customers forever, if the customer needs operation help or technical guidance, you can contact us by Email or telephone at any time, we provide 24 hours on-line service. 3. 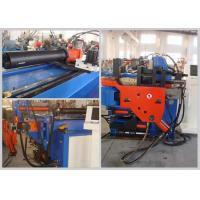 Warranty period: We guarantee machine quality for 12 months. 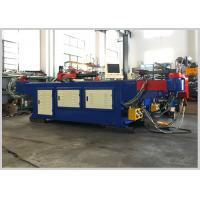 During this period, if spare parts of the machine were damaged, we can send the component to the customer by international express service freely.